I have a little tip for you! You know how it’s autumn and everyone is going crazy about getting out of the city in order to enjoy the autumn foliage colours?! The thing is that you don’t need to actually travel far and wide to find one of the best displays in town. In fact, you don’t even need to leave Vicenza for that. Just head up its central street – Corso Palladio – and stop by the garden of the Church of Santa Corona. You will find it up the road from the Teatro Olimpico. relics of the Holy Thorn of the Crown of Jesus (which can be seen in the church at Easter). Yet, the Church of Santa Corona offers another little gem to the citizens and the visitors of Vicenza alike. Just by its side and bordering on Corso Palladio, there is a garden with tall trees. In summer, it’s one of the greenest places in town where you can find peace and shade on the most scorching of days. Come autumn though and there is a different type of shade to attract you to this fabulous place. 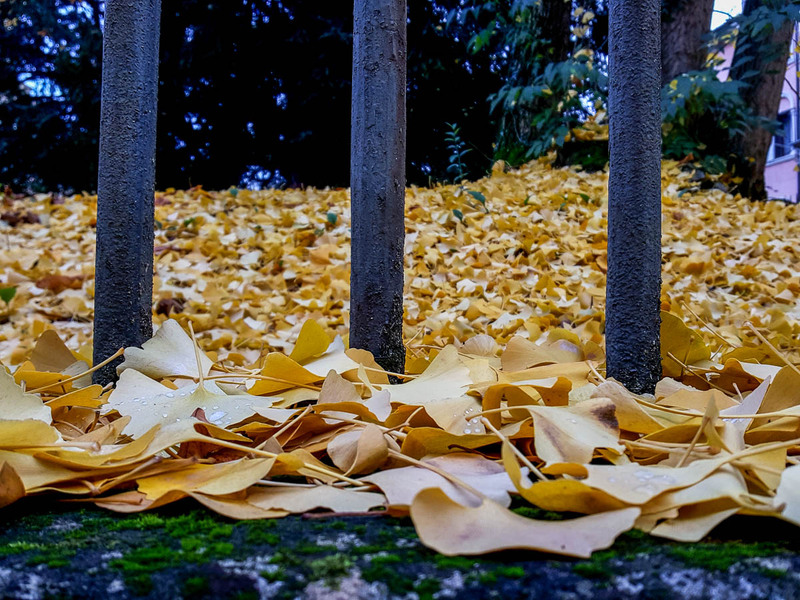 The leaves of the trees there change into the most astonishing shade of yellow. It is bright and pure, and really intense. Now, look closer at the shape of the leaves there. Isn’t it wonderful! 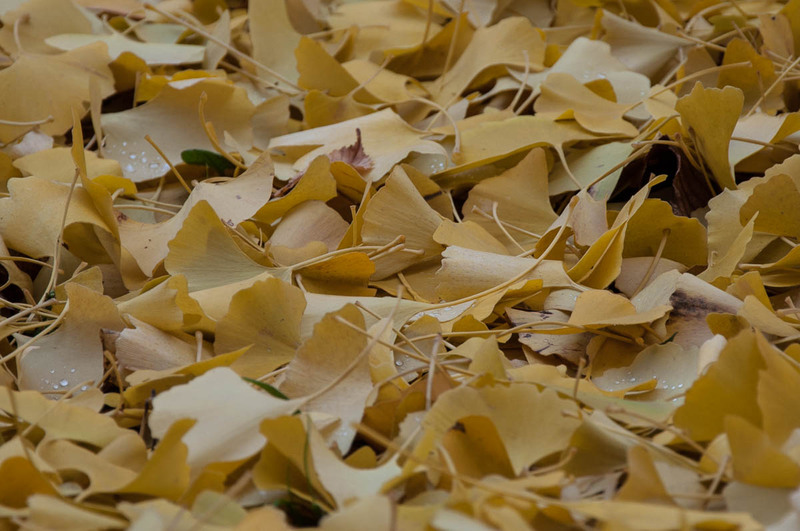 For these are the leaves of the ginko biloba tree. 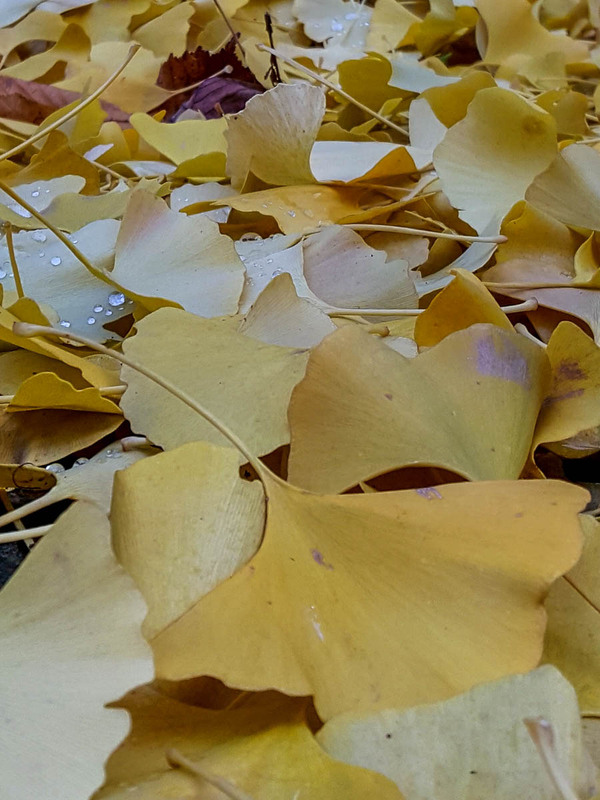 Yes, in autumn, head over to the Church of Santa Corona to admire the tall, proud ginkgo biloba trees there and the carpet their extraordinary yellow leaves create. Just to let you know that I took these photos at the end of November last year. 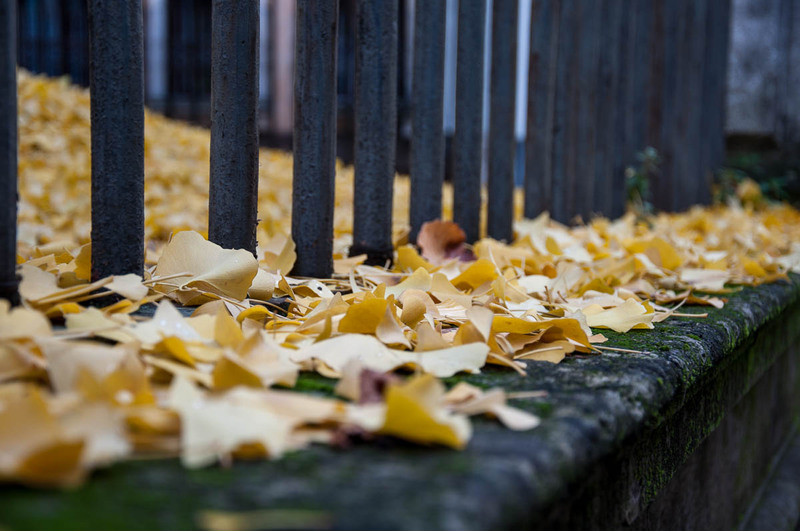 This year, autumn feels to have started much earlier, so keep checking to see when the leaves there will reach their maximum colour potential. Now, that I have shared my little tip with you, there is, really, no excuse to miss the beauty of the garden of Vicenza’s Santa Corona Church. 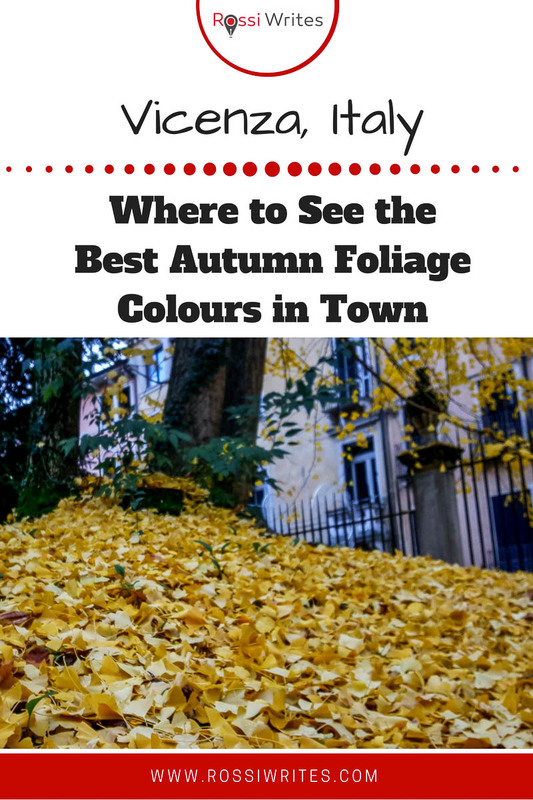 Where do you usually go in and around Vicenza to enjoy the autumn foliage colours? Or anywhere else in Italy and the world for that matter? Let me know!